Home›News & Events›Young Musicians wanted! O2 have teamed up with national radio DJ, festival creator and champion of new music, Huw Stephens, to build a band of musicians aged 16-25. 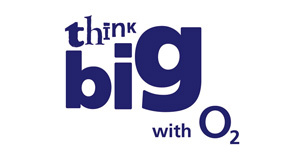 The new scheme called ‘Think Big’ will offer tuition and mentoring as well as provide an opportunity to tour and play in some of the UK’s biggest venues – the O2 Academies in Glasgow, Liverpool and Birmingham and at the IndigO2 in London. The closing date for submissions is 13 September.